BEAUTIFUL WOODED LOTS AVAILABLE ON MARLBOROUGH POINT ROAD AND CANNON BLUFF. 2 LOTS AVAIL. LOT 5B (3.24 ACRES) FOR $139,950 and LOT 10 (3.7749 ACRES) FOR $149,950. LOCATED IN HIGHLY DESIRABLE MARLBOROUGH POINT AREA, EN ROUTE TO COMMUTER RAIL AND CLOSE TO STAFFORD COUNTY POTOMAC RIVERFRONT PARK. Direction: FROM STAFFORD COURTHOUSE, EAST ON COURTHOUSE ROAD, RIGHT ON ANDREW CHAPEL, LEFT ON BROOKE, RIGHT ON MARLBOROUGH POINT TO SIGN ON LEFT. 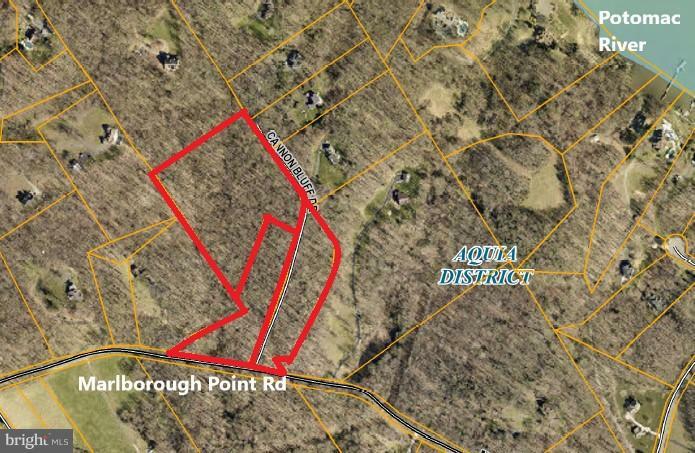 LISTING PROVIDED COURTESY OF Russell D Knight Jr., Aquia Realty, Inc.
MARLBOROUGH POINT ROAD , Stafford VA 22554 is a Land, with 0 bedrooms which is for sale, it has 164,435 sqft, 164,435 sized lot, and 0 parking. A comparable Land, has 0 bedrooms and 0 baths, it was built in and is located at MARLBOROUGH POINT ROAD STAFFORD VA 22554 and for sale by its owner at $ 149,950. This home is located in the city of STAFFORD , in zip code 22554, this STAFFORD County Land, it is in the NONE Subdivision, and AQUIA HARBOUR are nearby neighborhoods.